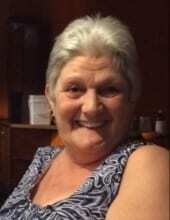 Ms. Cynthia Lee Moore, age 63, of Talking Rock passed away Friday, March 30th, 2018 at her home. She is survived by her daughter, Lisa Moore-Griffin and her spouse Amy Griffin of Talking Rock; daughter, Jessica Holden of Jasper; grand-daughter, Amberly and Jordon Kendrick of Talking Rock; sister, Sharlene Killgore of Ellijay; great-grandson, Hudson Kendrick of Talking Rock; grand-daughter, Bailey Buchanan of Talking Rock; cousins, Juanita Bonds and Joann Thurman of Dallas. She was preceded in death by her mother, father, brother and nephew. At her request, Ms. Moore is being cremated. A Memorial Service will be held 2:00 p.m., Saturday, April 14, 2018 at Cool Springs Baptist Church in Tate. In lieu of flowers the family requests that donations be made to the Cynthia Lee Moore memorial fund in care of Roper Funeral Home and Crematory; 206 Holly Street; Jasper, Georgia 30143.